The first two home in the May Hill Stakes at Doncaster earlier this month may own the best form heading into the Fillies’ Mile at Newmarket, but Firdaws can spring a small surprise to take victory. Lyric Of Light repelled the advances of Fallen For You by a neck to win the Group Two showdown and the duo are largely expected to be battling out the finish again. Nine of the last ten winners have had a Racing Post Rating of at least 120, which brings in the duo and Samitar, who took third spot at Doncaster. However, with eight of the last ten winners of the Fillies’ Mile also having won on their final start before Newmarket, preference from the trends should lie with Lyric Of Light, who is the favourite at 2/1. Firdaws may not have the current Racing Post Rating, but this should not count against her chances at 4/1 in the Newmarket odds. She was a decent winner of a big-field maiden at Salisbury on her latest start and is entitled to come in for this run, particularly as the reports coming out of her yard is that she is progressing well in her work at home. Firdaws is also the daughter of a former Oaks winner in Eswarah and this suggests that it should be no issue that she is stepping up to a mile for the first time in the Group One at Newmarket. There would also be no more popular winner than Firdaws as she is from the yard of Roger Varian, who took over from Michael Jarvis in February, who himself has since sadly passed away earlier this week. Of the other runners contesting the Fillies’ Mile, Semayyel may be overpriced at 40/1 in the Newmarket odds, as despite finishing fifth behind Lyric Of Love on her latest start, she may not have enjoyed taking on the pace. 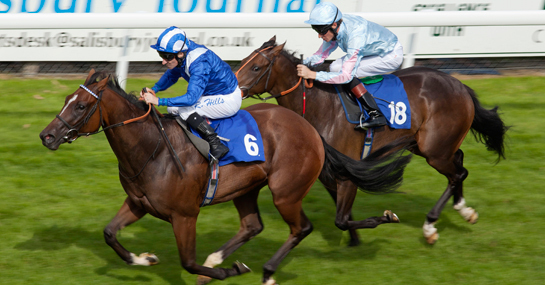 This honour is likely to fall to Albamara today, which means that Semayyel could be the each-way steal of the race.